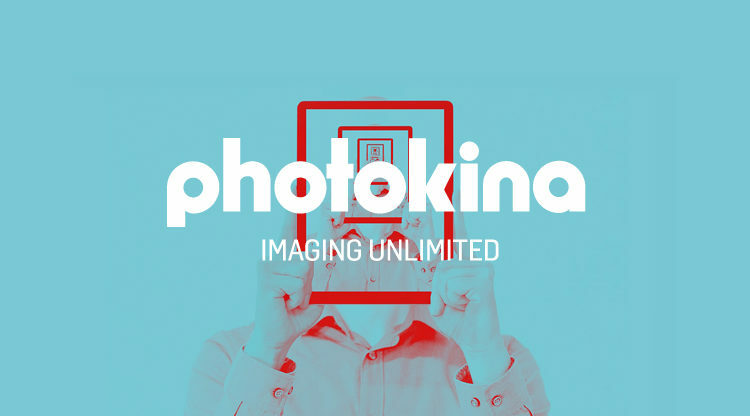 In the heart of Cologne, Germany, Photokina is host to nearly 200,000 visitors and is the largest trade fair in the photographic and imaging industry. 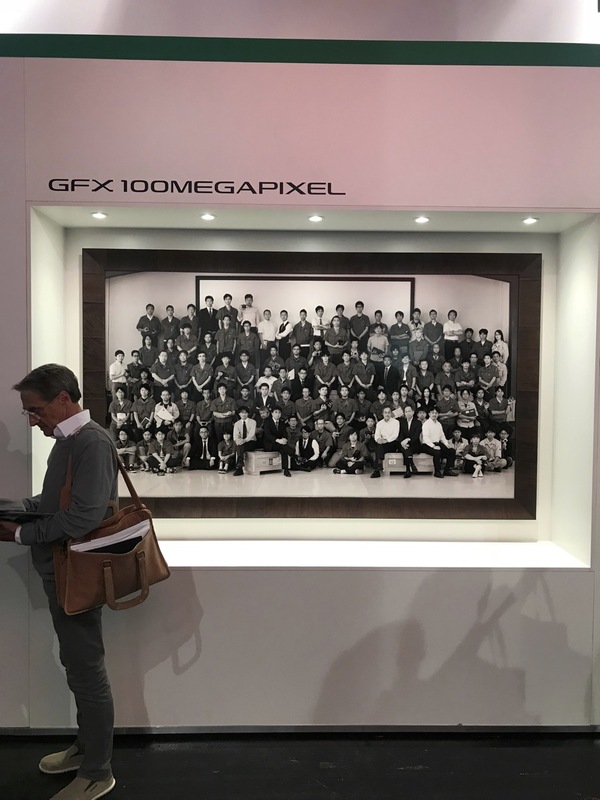 A tradition which started in 1950, and since 1966 has been held bi-annually, this year’s Photokina festival marked a major milestone when it was announced that as of 2019 the fair was to be held annually. 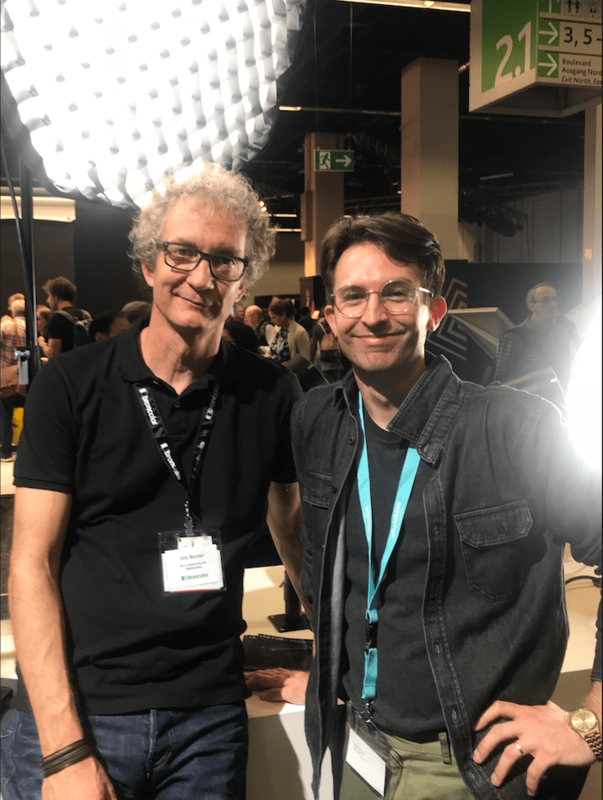 There were some major announcements from the biggest camera and lighting manufacturers, and this year our Studio Manager, Christian Espinoza, was there to see it first hand. This was the year of the Full Frame Mirrorless Revolution with Canon, Nikon and Panasonic making announcements. 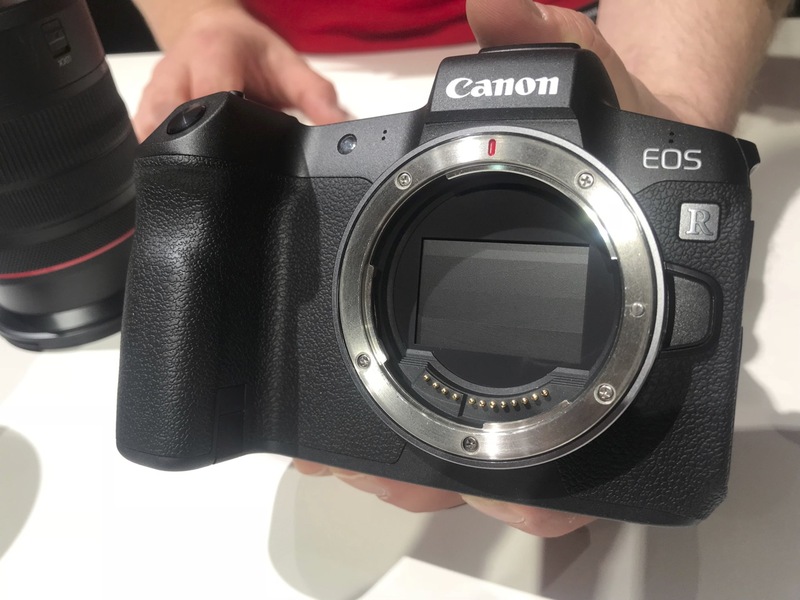 Canon introduced the new EOS R Mirrorless camera, showing it at Photokina. The camera uses the new RF mount, with a new shorter flange distance, and they also announced their new RF lenses. There is also an additional adapter to fit your existing EF lenses. The EOS R 30MP sensor is very similar to the 5d MkIV, and offers an extremely quick and accurate AF system (over 5,600 focus points). Shoots 4k video at 30p, with C-log, and has an articulating LCD screen. The EVF (electronic viewfinder) is a 3.69m-dot OLED screen… which means the image you see is extremely clear and bright, identical to what you’re about to shoot. 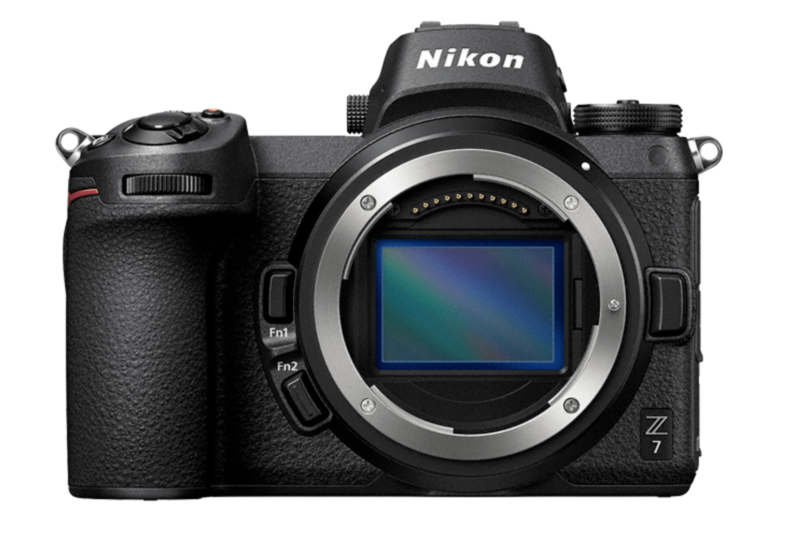 The Z6 and Z7 are Nikon’s new mirrorless bodies, announced just days before Canon’s EOS R.
Both Nikon bodies are nearly identical in design, but the main difference between them is the megapixel count. The Z6 has 24.5MP, next to the Z7 at 45.7MP. The body itself feels heavy, with a solid grip. Shoots video at 4k 30p, with N-log, and has a single XQD memory card slot. Nikon are set to release a new range of Z lenses, but these won’t be available until 2019. 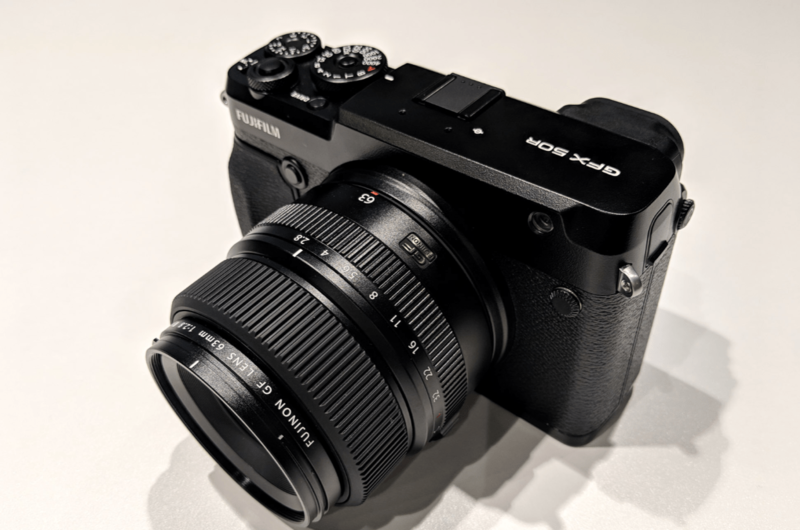 Although the camera prototypes were not available to us at Photokina, we do know that the newly announced S1/ S1R are full frame cameras and their difference in Megapixel count is similar to the new Nikon mirrorless bodies. The S1 will be 24MP and the S1R will be 47MP. 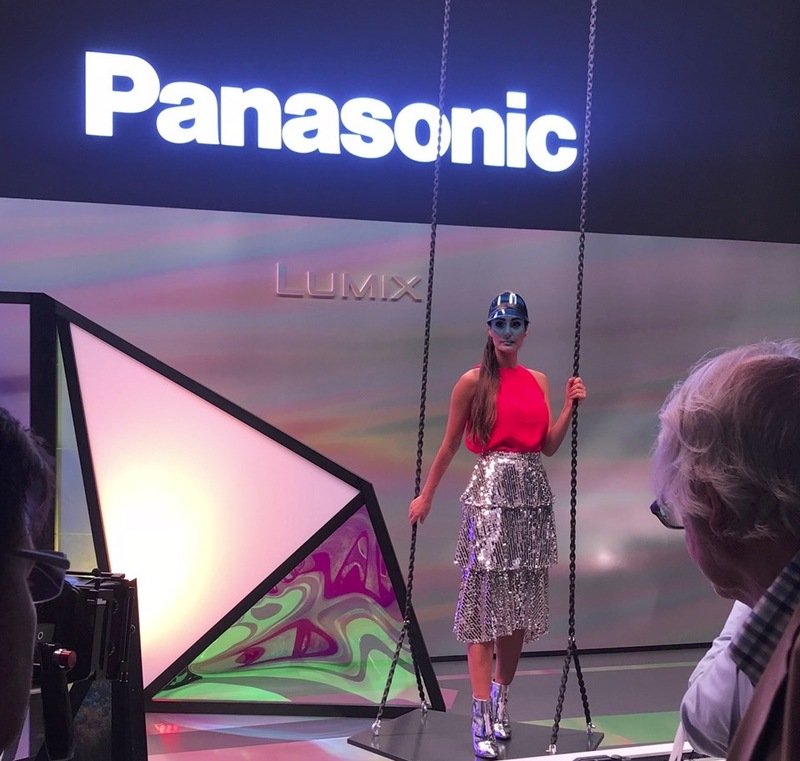 This new system will use the new L mount, which will now be available for Panasonic, Leica and Sigma thanks to the “L-mount Alliance”: also announced at Photokina. The GFX 50R is an evolution from its predecessor, the GFX 50S. The new Medium Format camera is now compatible with the industry standard Capture One software, for tethering. It has a quick AF for a MFD camera, and is light enough to shoot on location without much strain. There was also another announcement, albeit in development stages only, the GFX100… a 100MP MFD camera. Sitting behind a glass cabinet, we couldn’t tell much, but we can see it has a much bigger grip than the 50R. Similar to the X-T2 in design, we found the X-T3 to be a nimble body, with a very quick EVF response, and highly accurate face detection AF system. 26MP, and using the Fuji X-trans CMOS sensor tech, this camera is not full frame, though, it shoots 4k in 60p… very impressive. 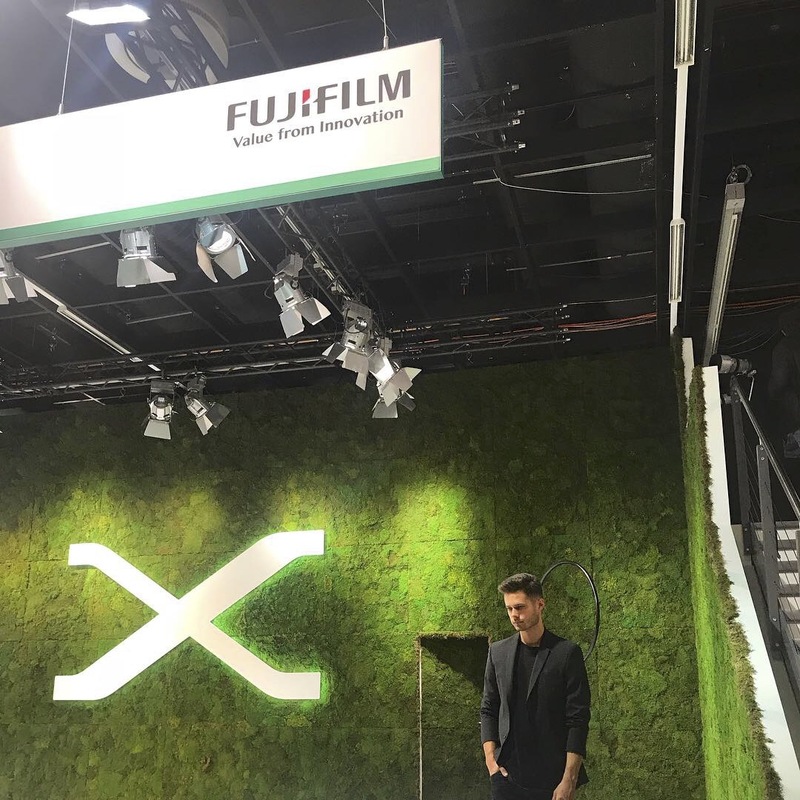 We noticed the majority of people walking the Photokina floor had a Fujifilm X camera strapped around their neck. Clearly a fan favourite. 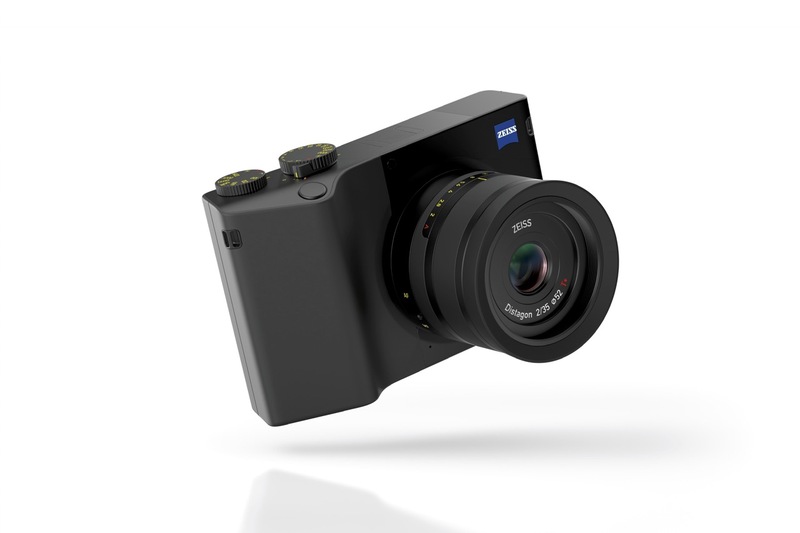 Presented at a special off site press event, Zeiss announced their first digital camera, the new ZX1, a 37.4MP camera with a fixed Distagon 35mm f/2 lens and built in Adobe Lightroom. Which means you can edit your images in camera (via LCD screen), and wirelessly share your images via Wifi or Bluetooth on your phone. The ZX1 has a leaf shutter, commonly found in Medium Format lenses, shoots 4k 30p, ISO range 80-51,200, and built in 512GB of storage. The design of this camera is very innovative, and we look forward to some early reviews. 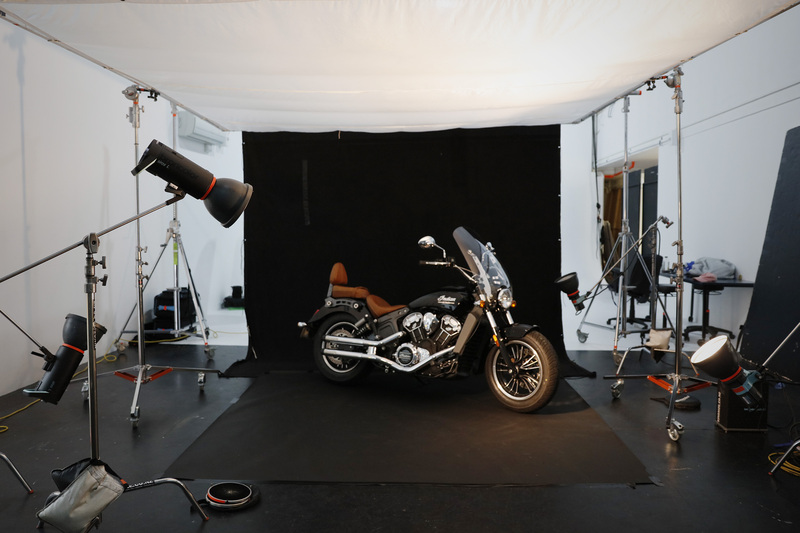 We met with Broncolor and they showed us the new F160, a bi-color LED lamp adjustable from 28,000K – 68,000K. Quick buttons on the back change it from daylight to tungsten, and you can dial in fine green/magenta adjustments. The lamp head has a dome, just like the existing Broncolor flash heads, making it an open face hard point source. 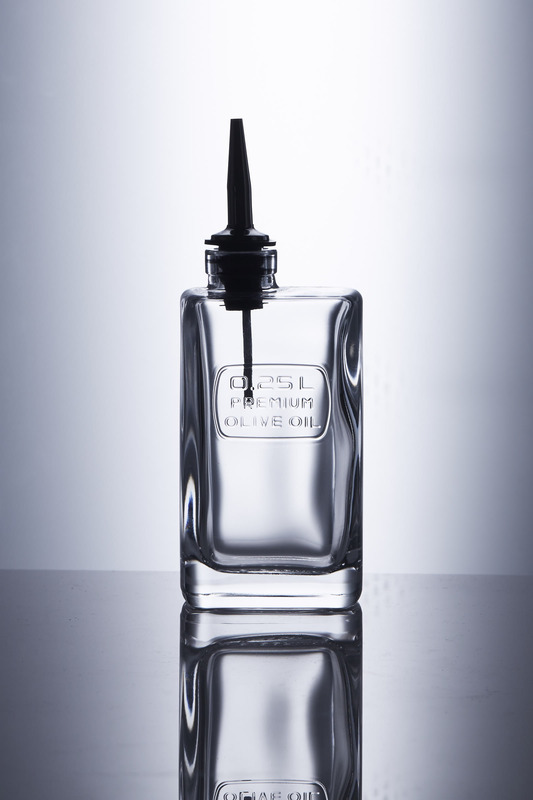 Focuses in and out like a Pulso head, which would make this ideal for still life/ product photographers in studio. Compatible with all existing Broncolor modifiers. CRI 97+ (and specifically 98.6 at the 55,000K), the settings can be controlled through the Broncolor app. Silent fan means you can shoot video and record sound safely. 12,000 lumens bright, it’s comparable to a 650w halogen lamp. 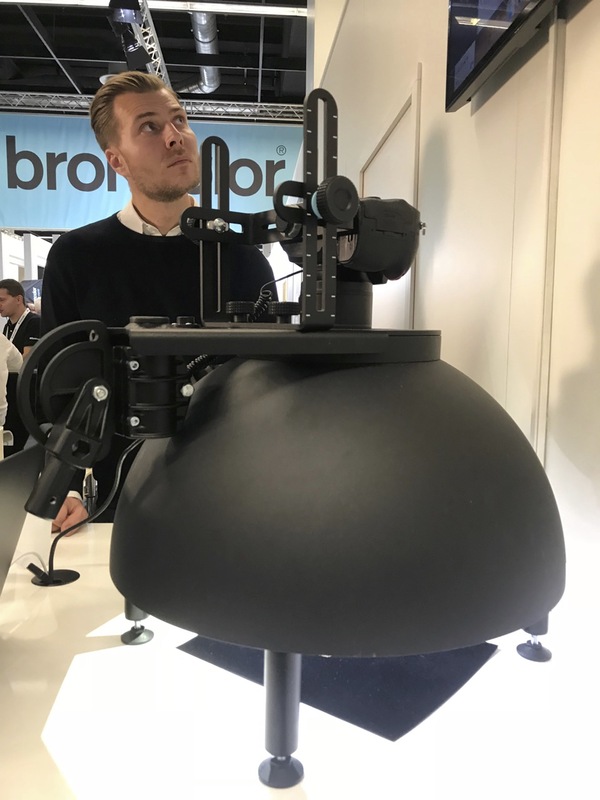 Broncolor joined forces with Swiss software developers, Truvis, and created the new and groundbreaking Scope D50. A dome that looks like a beauty dish, which you angle straight down over your subject (usually an artefact or sample item, and insert your camera and lens down through it, pointing at your object. In the interior dome are 48 LED points. The magic is in the software, and once you shoot, it takes 48 images – each of which is lit with each of the 48 LED points at a time. The software then takes each photo, blends them together to create 1 overall scan and from here the user can select lighting from any angle by scrolling their curser over the image, and even create a 3D map with simulated physical properties. Broncolor made a promo VIDEO for the Scope D50 which involves a team of archeologists taking it out on the field as a mobile field unit. It was incredible to see in person. 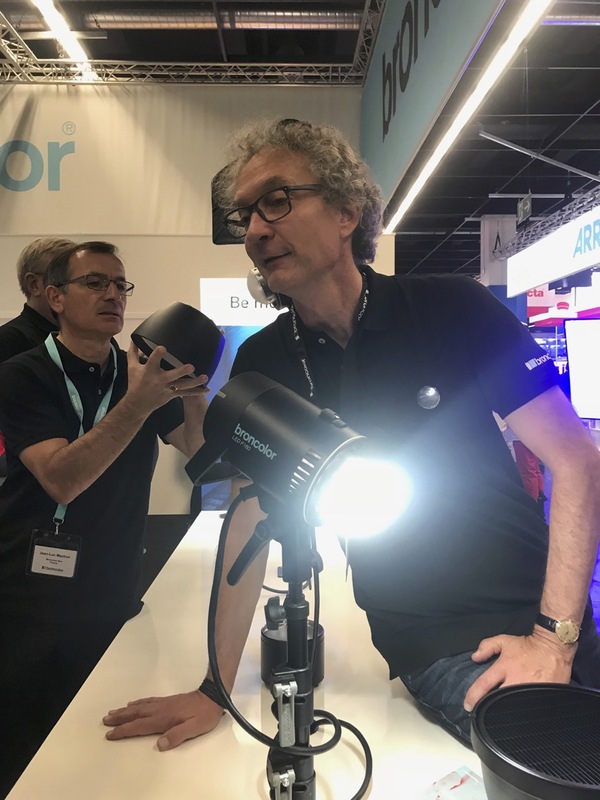 The new B10 is a 250Ws flash (half the power of a B1 and the B1X and 5 times the power of a speed light) with high speed sync and TTL, and is entirely wireless. It has a different battery system to B1X, and can shoot up to 400 shots on full power. You can control the light using the Profoto app. 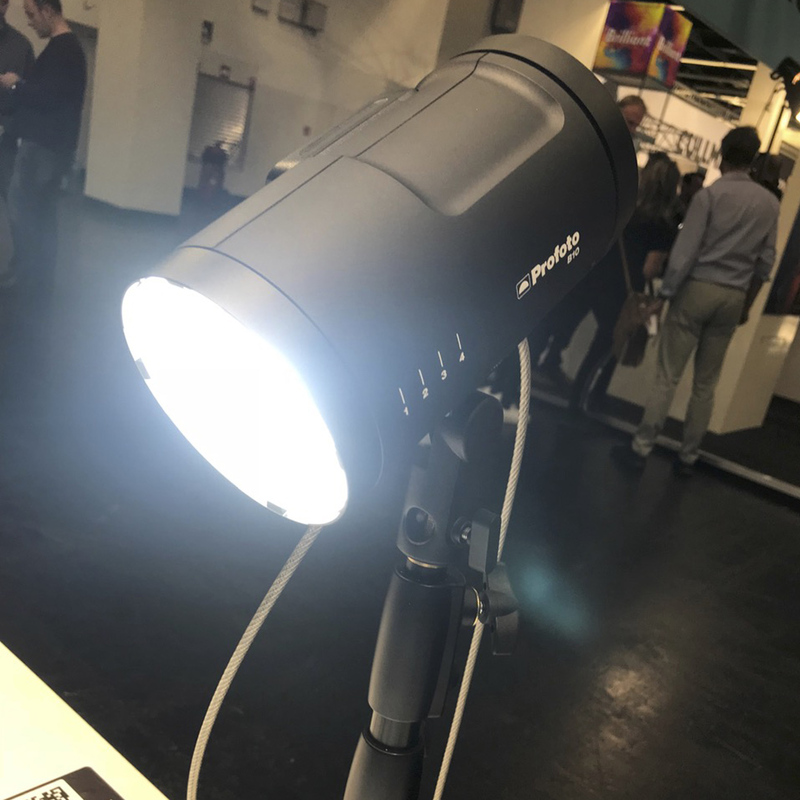 This light also offers a continuous LED light for video shooters, with an equivalent output of a 150W tungsten lamp, and adjustable from 3,000K to 6,500K. CRI is approx 90-96, and you may get up to 75 minutes of continuous light on full. If you would like to know more about any of these products, or share your feedback, get in touch by email or drop in for a coffee and a chat ! We met up and asked Photographer Tim White a few questions and got to know him a bit better. Check out Tim’s work on the bookshelves at Kingsize, or online at timwhitephoto.com Happy reading ! Q: How did you start in your career, and what has been a big highlight if you could chose one ? A: I started as an assistant first working for free to get experience in the late 1980’s. Then I got a full time job for a still life photographer. After about a year I went freelance for fashion photographers. In 1990 I moved to London where I was lucky enough to work for several NZ photographers based there, Derek Henderson, Hugh Stewart and Regan Cameron. I only had a two year working visa so had to go out on my own as a photographer a year later in order to apply for a visa, which I did and stayed in London for over a decade. Highlight would be the places I have gone and people I have worked with, Cuba in 1997 has been a definite stand-out. Q: Which project has been the most fulfilling, and worthwhile for you personally ? A: My book True North. It took four years to complete. Definitely a labour of love but it has defined my work ever since. Q: What would be your advice for a young, aspiring photographer ? What advice should they ignore ? A: Find your own trip. It is the hardest thing to do and only comes through understanding not just the technical side but photography’s history. Everyone is “influenced” by someone or you are too ignorant to know someone has done what you have before. It’s about bringing yourself to your work but and adding from the past. Im a big book collector, I find photographic history fascinating. I think you should listen to everyone, but learn to filter out the irrelevant stuff. I remember showing a photographer a B+W print I had done at school, he told me it was technically poor as the sky was blown out. It took me years to realise how wrong he was and a blown out sky can be a great compositional element. Q: What book are you currently enjoying the most right now ? A: Always The Americans by Robert Frank but also Mike Brodie’s A Period of Juvenile Prosperity is a stand out from the last few years. Q: Photographer you most admire and why ? A: There are a lot, all of the “New York School”, but again Robert Frank if I had to pick one. The Americans changed everything in photography and The Lines of My Hand is also a timeless classics you can return to again and again. Also his film work is well worth checking out. 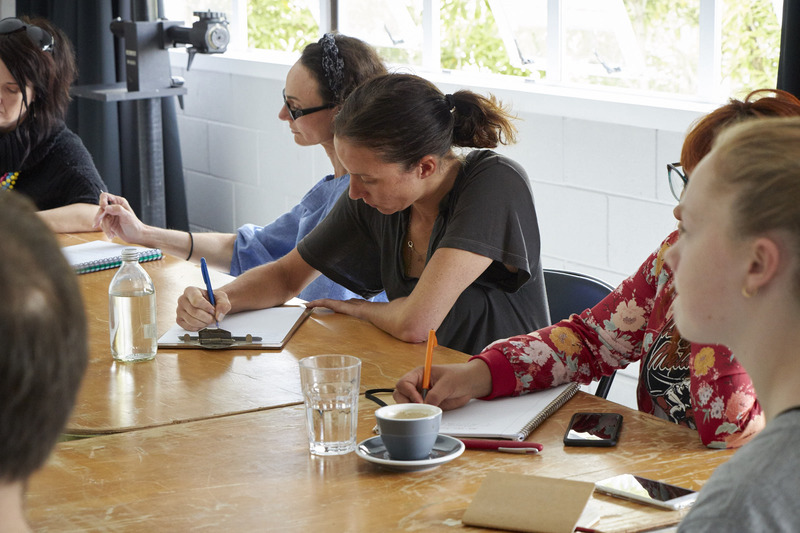 In the 20 years Kingsize has been in business, we’ve seen a lot of people come through our doors.Kingsize is a hub for the creative film and photographic industry, where people can come in, talk shop, have a coffee, and share ideas. We have met some of the most creative, talented, funny, and sometimes (ok, a lot of the time) very weird people. And when we talk with these folks, we always learn from them, and get inspired by them. For this we are grateful, and we want to celebrate by giving them a platform for them and their work. With this, I introduce our latest monthly blog piece we call Artist Feature. Q: How did you start in your career, and what has been a real highlight if you could chose one ? A: I actually started off doing a bachelor of design, I knew I wanted to do something creative, but after my first year I realised that wasn’t my passion. After that I sort of stumbled into Makeup, back then I wasn’t even sure being a makeup artist was a realistic job… but after completing my training I was hooked. It can be a long and sometimes challenging road, and if you’re in it for the glamour and money you’re in the wrong job. You really have to love what you do, there isn’t a day that goes by where I don’t thank my lucky stars for getting to do something I absolutely love. Every time I think back to the many incredible jobs I’ve been fortunate to work on, it’s hard to choose just one that stands out as a favourite. But if I had to choose, I guess it would be when I was living in London & I had the pleasure of looking after Steven Cojocaru (Then a presenter on the U.S tv show Entertainment Tonight) while he interviewed the cast of the Film ‘Love Actually’. That was pretty amazing. I remember being on stand by trying not to freak out as Hugh Grant sat down to be interviewed. Thinking holy s%@t what am I doing here??!?! Q: What advice would you give an eager, young student wanting to get into the industry ? A: Be persistent, & work hard. Always go the extra mile, and take every opportunity you can get. Often you won’t be paid, don’t let that put you off. Some of the best experience comes from these jobs, and if you can prove yourself to be a happy, personable hard worker you’ll be remembered and asked back. Often it’s these attributes that will win over someone wildly talented but that’s a pain in the arse ha ha! Q: Lastly, do you have any projects you’re working on or would like to work on ? A: I often don’t know what I’m doing from week to week until the last minute, which is one of the things I love about being a freelance artist. But I do have a couple of very exciting, very creative projects coming up in the not to distant future. You’ll have to stay tuned to find out more. 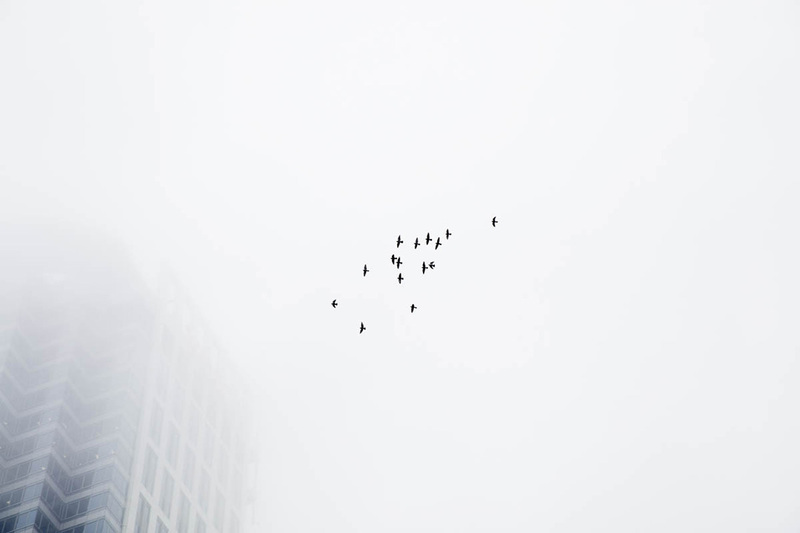 The class was led by teacher and photographer, Abby Verbosky, who lives and works in Brooklyn, NY. The students were exposed to some of the masters of photography and we discussed what makes some of the most iconic images so great. This was put to the test, and the students were asked to make their own photo essays in a short space of time. This involved walking through the neighbourhood and getting outside their comfort and approaching people. A real challenge for some, but they made great progress from the start. We learned about our NZ Copyright laws, as well as ethics, and trustworthy journalism. The students were able to take away practical information which will immediately help them in their own practice and careers. A big eye opener, and a call to action in many ways. 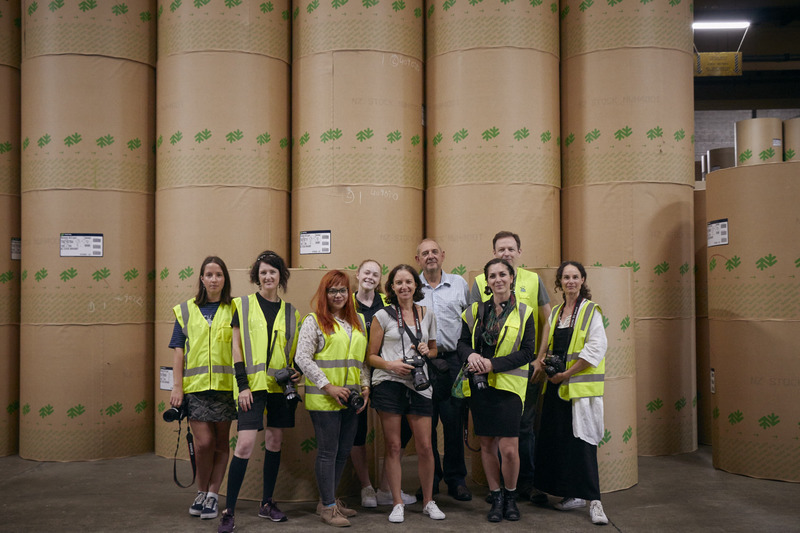 We took a field trip on Day 2 to the NZ Herald printing press site. This was hugely inspirational, and the students were hardly able to keep away from taking pictures of it all. 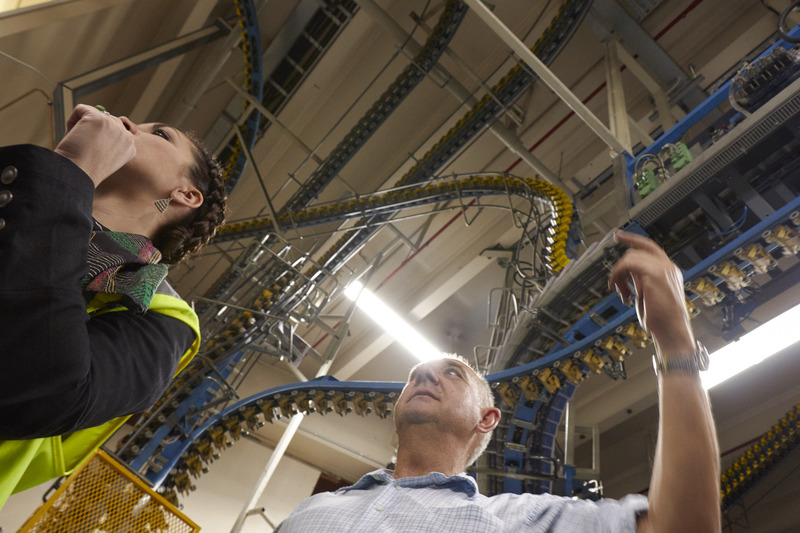 There we learned the process of how the NZ Herald, along with many others, gets from the factory floor and to your front porch. The students were given lighting and sound workshops, and they were ready to go out and create their stories. 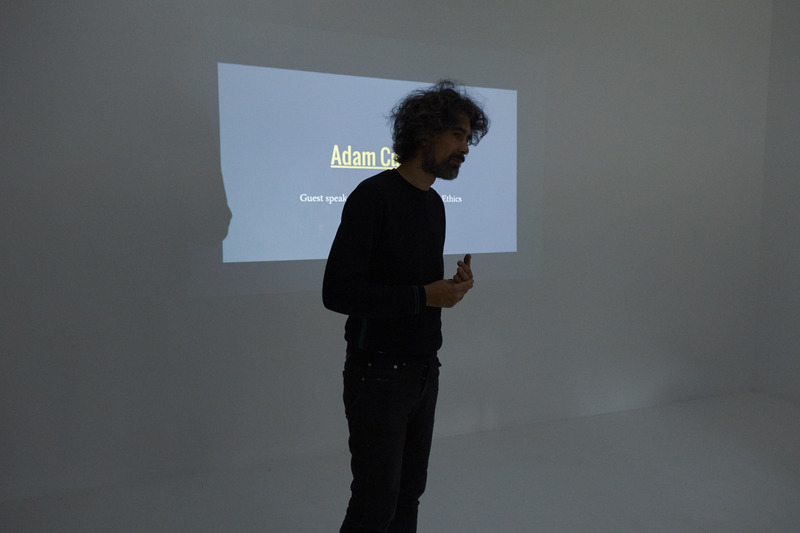 Equipped with interviews, stills, and video, we had a multimedia presentation on the final day to see everyone’s work. We hope to share some more images, and finished work. Our goal was to inspire and teach our students, and give them practical information that can be used to make this career all the more possible for them. Studio photography and lighting is a craft that is practiced, but never perfected. We may strive for perfection, yet despite our best efforts, hard work, and disciplined pursuits, we only ever get close. In doing so however, we discover a reality not familiar to our own. The frame is our whole universe, and we learn to see through the lens to what’s out there. The images we create become a reflection of ourselves, a mirror. Our Summer School course is about to complete it’s 2nd straight week, and this year marks its 2nd anniversary. The course has developed greatly over the last year, and throughout 2016’s seasonal courses we deliver, we have refined the overall student experience. 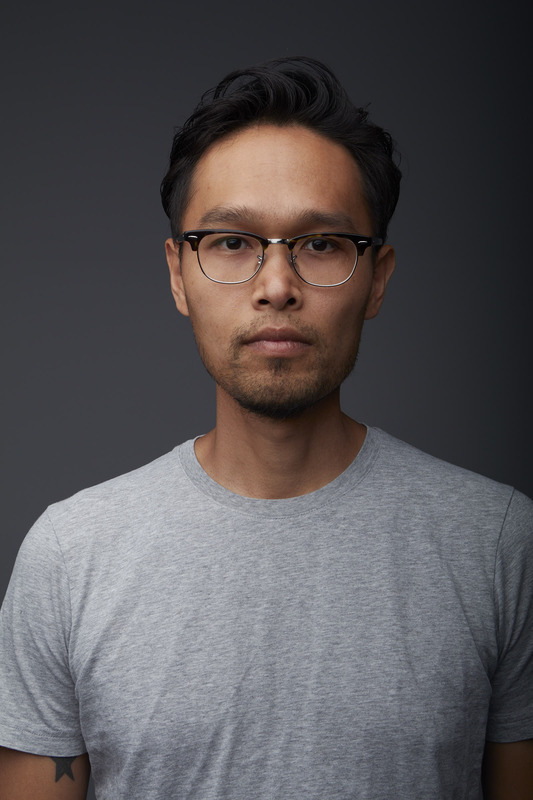 We demystify Studio Photography. 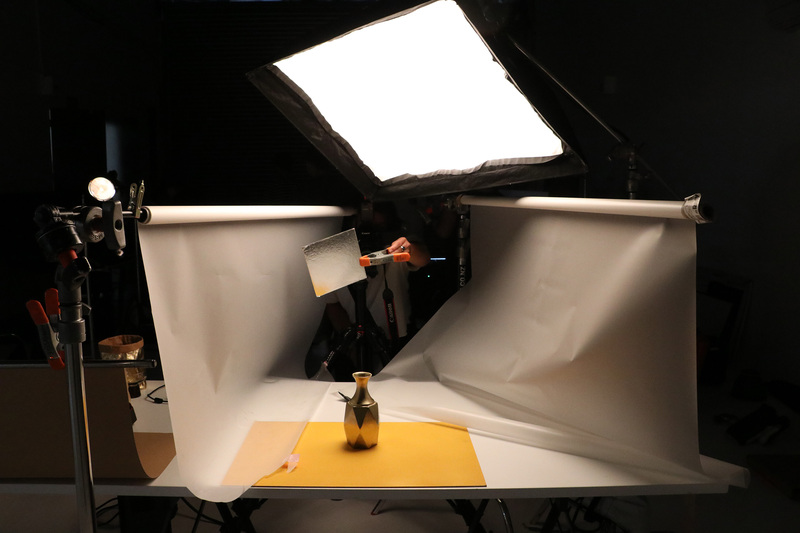 From camera and software, to lighting and grip, we cover the fundamentals, and strip away what is non essential. If you ever felt intimidated, or insecure in a studio, after day one that feeling recedes. We balance theory with practice, and above all else, we get hands on straight away. I love seeing the expressions on a student’s face when they accomplish something they never thought they would. When you’re inspired, and you realise that you’re not the only person striving for the same goal, your mind becomes limitless. We empower our students to learn and develop their skills over the five days (and they are five FULL days of solid work), that by the end of the week you walk away confident and ready to begin. Some students have never picked up a camera. Others have never used Manual mode on their camera. And others have never set foot inside a photography studio. The challenge is not to merely teach, but to learn from each and every student, each of which has a fresh pair of eyes and outlook on their reality. 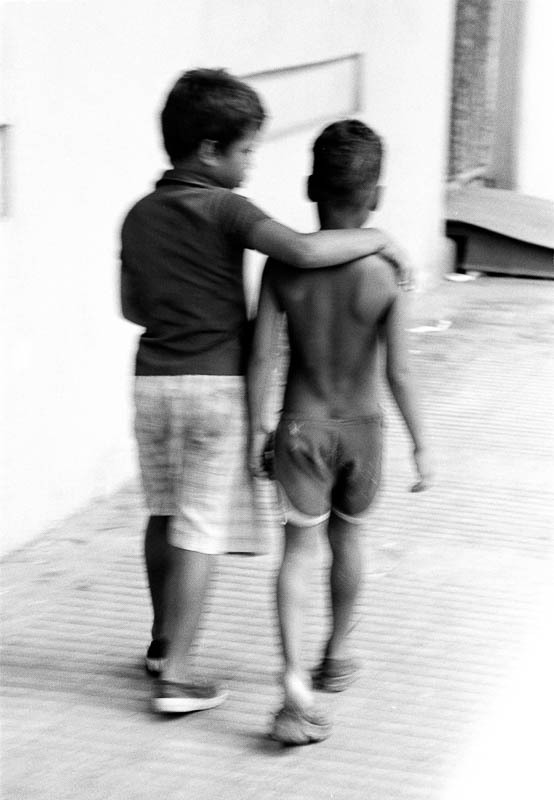 To be able to teach the ‘how’ of photography we ask each student to tell us their ‘why’. Why do they create images? Why do certain images move them and others don’t? Why do they keep striving for perfection and work through the failures? The fabric of a good studio photographer is a careful blend of creativity, science and the arts (though, business can help too !). It’s always inspiring to see a group of students challenge themselves, and push their own limits to see what they can really achieve. I am privileged, and honoured that I got to to lead the Kingsize Spring Break course this year. We had an enthusiastic group from all parts of the world, and all ages. Here is our story. The focus for Day 1 was to lay the foundation for the days ahead. 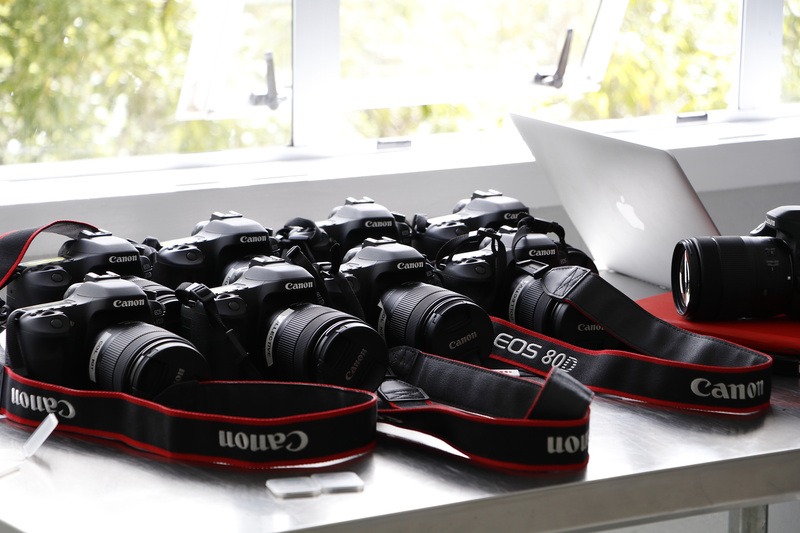 We knew we had to get up to speed with the fundamentals – Camera, Grip, Stands, Frames. The students were introduced to the full range, from Matthews Grip to Chimera, and everything in between. We worked to set up, tear down, set up, tear down. We did this enough times, and with enough variation, that it became like second nature. Then we were ready to experiment with lighting. We used constant light sources from ARRI and Kobold, and were able to see the results immediately. We created bounced, reflected, diffused, hard, and absorbed light. We discussed light shaping and saw first hand the effects of each lighting set up. By the end of Day one it was clear that we had a long week ahead of us !! 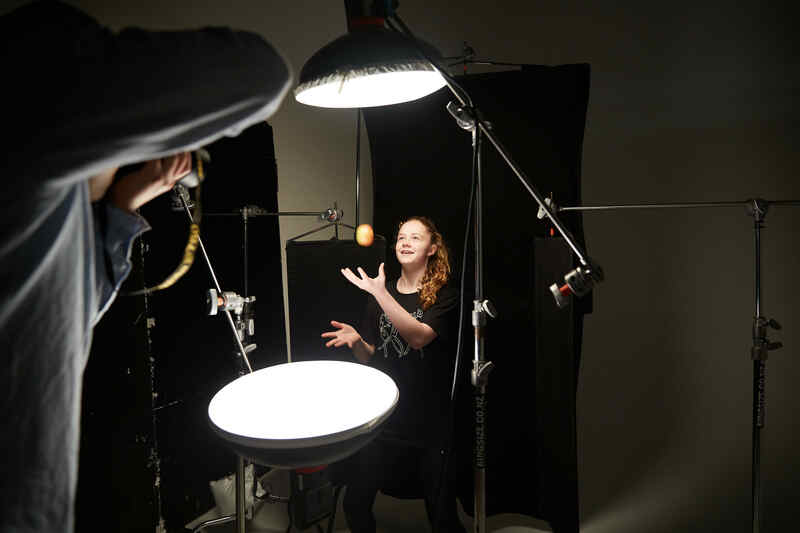 After seeing what light does and how to shape it in different ways to achieve specific results, we began day two by discussing another area of control – Flash Photography. For a lot of people, flash photography is something they shy away from. Our students were no different, especially in studio. We aimed to change that. A good mix of theory and practice was the best way we were able to deliver this. 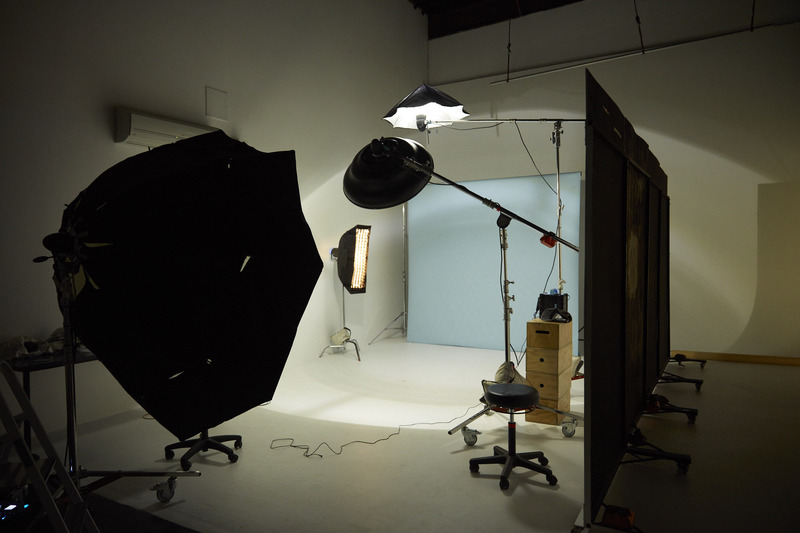 The benefit of seeing the results in studio, with our Broncolor flash equipment, was a big eye opener. In the afternoon the students observed light control across different surfaces, and we were able to engage in discussion about our learnings. 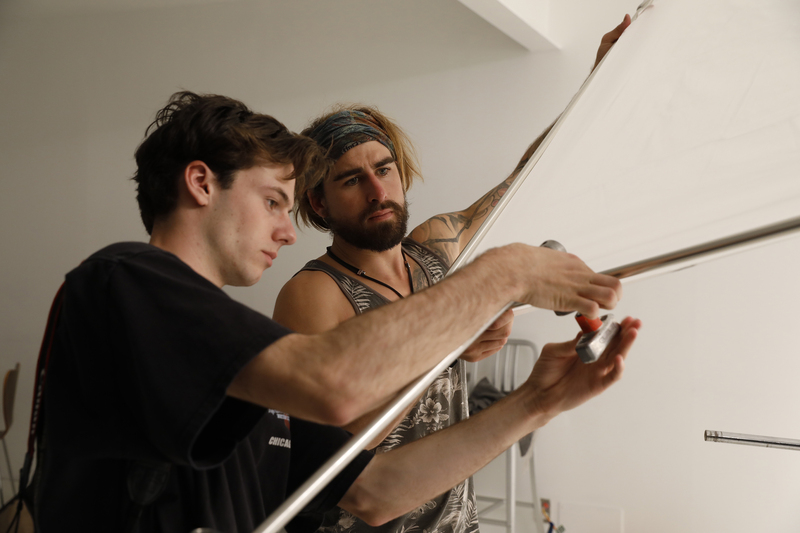 Another day of setting up, and tearing down stands, grip and lighting equipment… and the students loved it !! If you had two days in studio to create anything you wanted, what would you come up with? Each student had to answer that for themselves. For some, this was straightforward, but for others it was a hard challenge. We had a mixed bag, some students had props, some brought their friends, their plants, and for one student it was his brothers Indian Cruiser motorcycle! No matter what the subject matter, we had a chance to experiment, make mistakes, learn, and share the information with each other. We could walk from one studio to the next and step into another stage, another world which we created. The students really brought life to the studios and managed to create some stunning work. Wasting no time, we had our final morning catchup and went straight to work. This day would prove to be the most challenging. We had a model from Clyne in the afternoon, which gave us a chance to practice something new to most of us… direction. It’s one thing to practice light shaping and camera control… but a whole other ball game when you have to direct someone in front of your lens. This brought a range of emotions, however, as with the entire course.. we were there to learn from every experience. Spring Break left us all wanting more. As I had mentioned at the beginning of the course, by the end of the five days, we would not walk away as experts. Rather, we would walk away with a solid foundation and the ability to keep on learning. 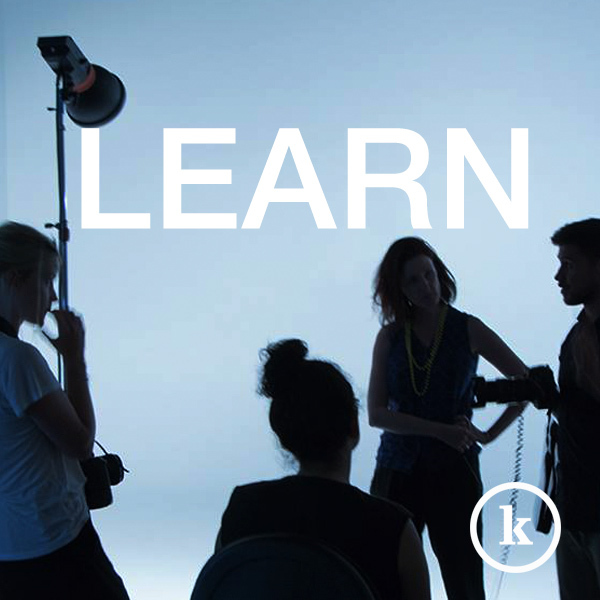 Whether you’re a hobbyist, or starting your commercial photography career, this course would be a step in the right direction. We are holding a Summer School course in 2017, we would love to see you there. Recently, Kingsize Studios’ Operations Coordinator, Georgia Periam, has been awarded with the 2016 Wikiriwhi Scholarship Award. Established in 1983, The scholarship is awarded annually to a top Whitecliffe student who shows exceptional talent and is a great ambassador for the college. Georgia will be going to George town in Penang, Malaysia, to attend the Obscura Photography festival for 2 weeks. One of those weeks will be spent in an intensive workshop with other university students from Melbourne. The other a chance to attend the different talks and galleries participating in the event. 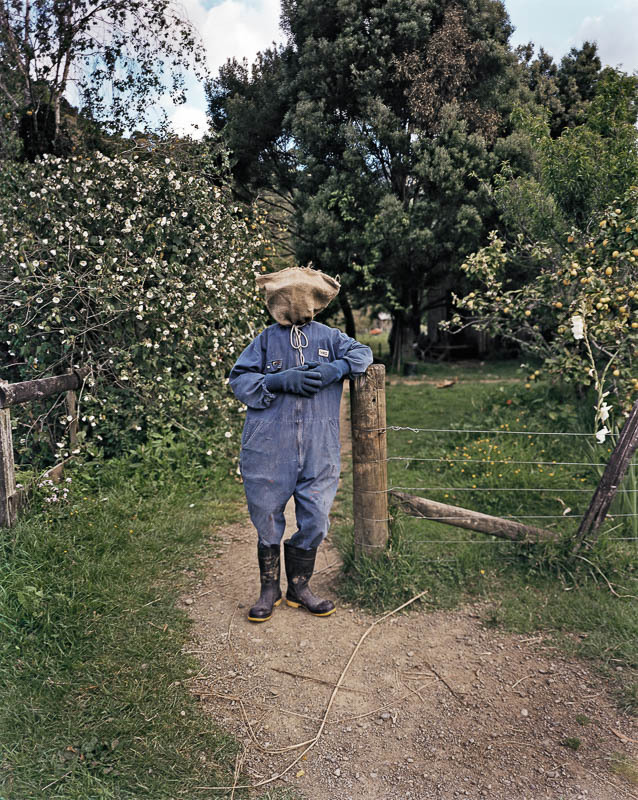 Another win for Georgia recently came when her photobook project called “The Inbetween” won a highly commended award in the self published category at the New Zealand photobook awards earlier in the year. We’ve just delivered our first ever Winter School course, and we are pleased to say that it was a great success. We challenged our students every single day, for five days, and what resulted was incredible. They really blew us away. 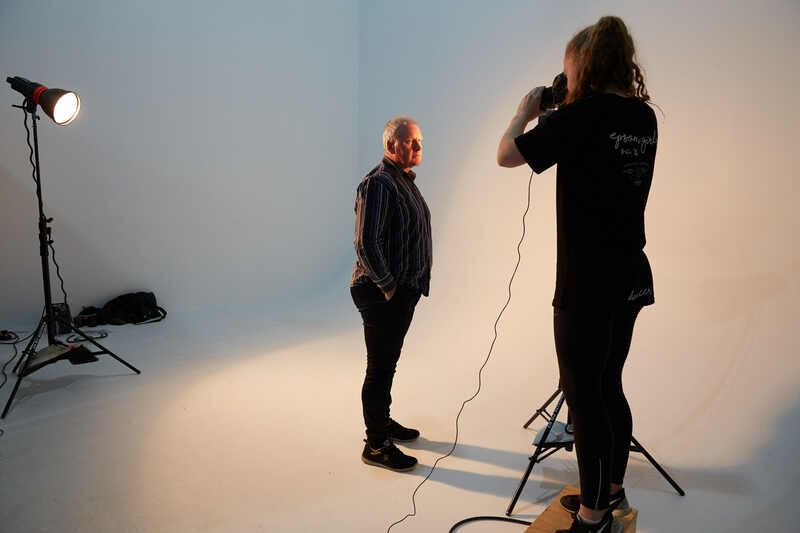 Our group of six students ranged from all ages, and came with little to no knowledge about studio photography and lighting. Half of them made the pilgrimage from other towns, coming as far away as Christchurch. 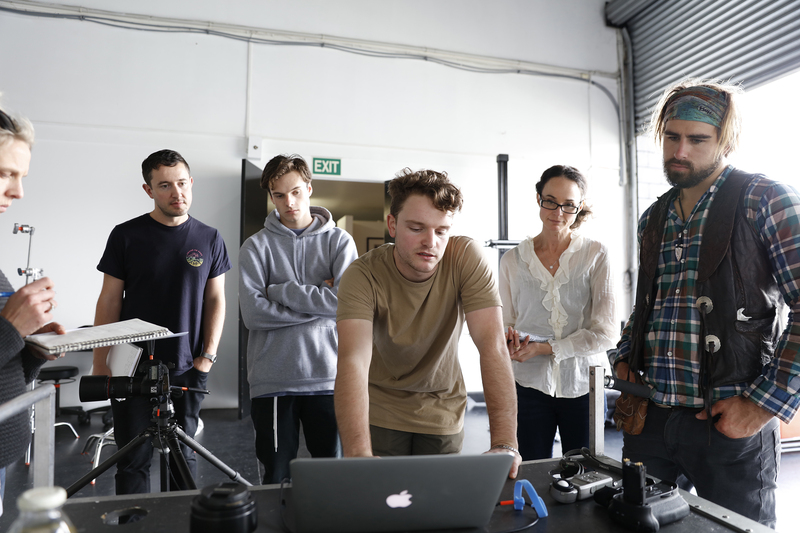 Day One kicked off with a morning bootcamp session on Grip, Stands, Frames, Softboxes, and Booms! After a quick break, we plunged straight into constant lighting in studio. The students were able to see immediately the effects of using bounce and diffused light, as well as hard, raw light, and also negative fill. By the end of Day One, our eyes were opened. Day Two introduced Flash Lighting to everyone. After a morning theory session, we were soon straight back in the studio and hands on with the gear. 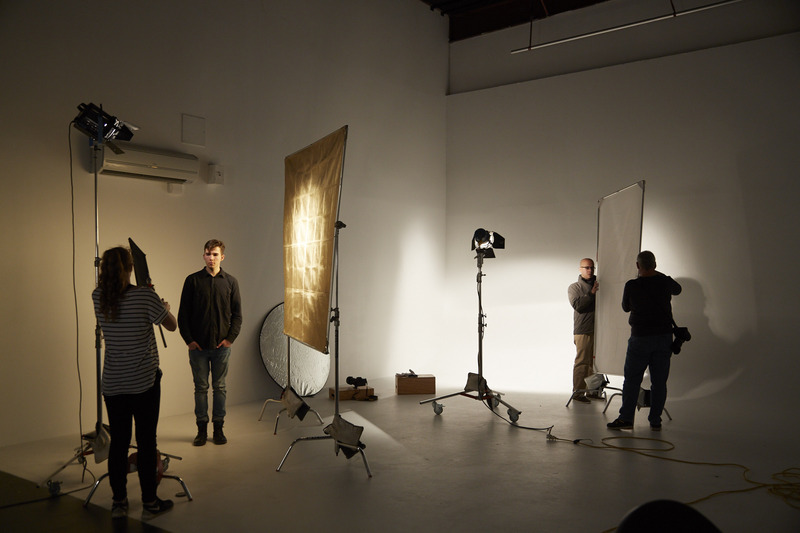 We used a range of Mola Softlight dishes, Chimera soft boxes, octaboxes, and frames, and Broncolor lamp heads. The students paired up and experimented, and it seemed the more they discovered the more exciting it got. I met with each student for a one on one to get a sense of where they were, what they hoped to achieve, and to understand what drives them. 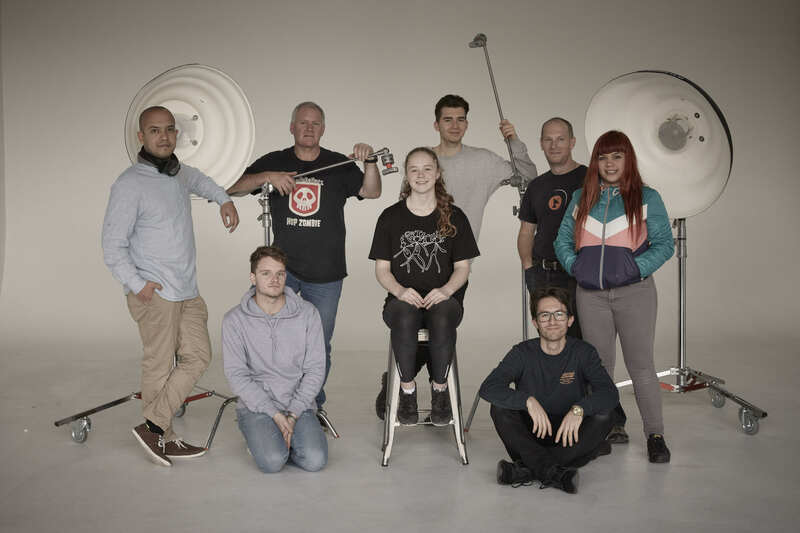 Day Three begun with a workshop in Product Photography, lead by Fraser Chatham. 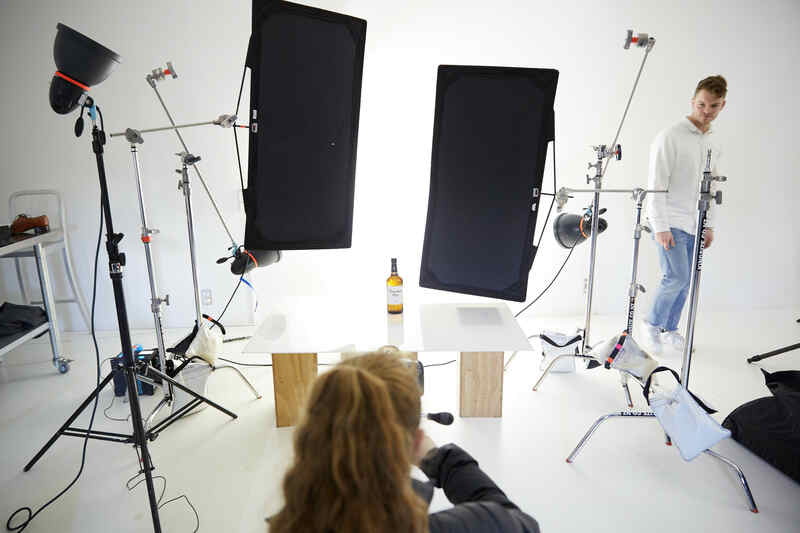 This was a total shift for the class: there was a different teacher, a different studio space, and instead of shooting each other we were shooting bottles and shoes! This really made an impact on a couple of our students for the rest of the course. Fraser, by all accounts, was a fantastic teacher and made sure to explain everything clearly and was very encouraging. Go Fraser! Day Four and Five saw the students engaged in their own self directed projects. This was the last phase of learning through total immersion, and full experimentation. We saw a combination of still life, agency models, champion athletes, and of course our very own Ultratec made an appearance. Over the five days, the students made themselves at home at Kingsize and we are grateful for that. Each of them was driven, and had the passion to learn and thus opened themselves up completely. We wish them the very best for their future and hope to see them again at Kingsize! Our very own Kingsize Ops Manager, Fraser Chatham, recently entered a competition in PDN (Photo District News), called ‘Objects of Desire 2016’. This is an annual still-life competition which highlights the best of commercial and editorial assignment work, in addition to fine-art and personal projects. We are very proud to say that out of the thousands of international entries, Fraser came Runner Up with his piece “#1”!